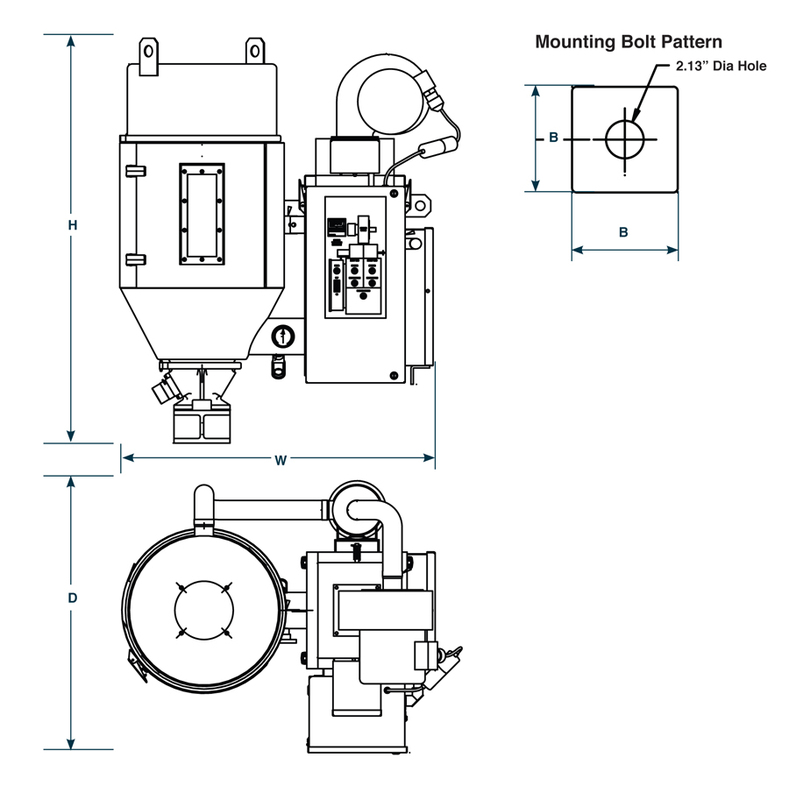 NDB Series Desiccant Dryers use the industry standard dual-bed drying concept in a compact single blower configuration.One blower and multi-function valve control both the process and regeneration flow. The heaters are contained within the desiccant beds to minimize space. 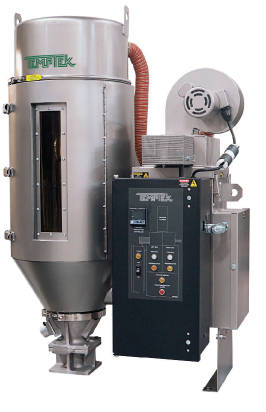 Integrated stainless steel insulated drying hoppers with large access door and sight glass (200 lb. hopper is carbon steel). Compact design with single blower and a multifunction valve to control both the process and regeneration heaters contained within the desiccant beds to save space. Standard voltage : 115/1/60 for NDB-15-T, 460/1/60 for NDB-25-T and 460/3/60 for NDB-50-T.
High heat up to 350°F (cooling coil required over 225°F. Tubular Incoloy® sheath heaters. • Nema 1 enclosure. High efficiency 13x molecular sieve desiccant. Analog thermometer at hopper inlet. Over-temperature alarm and shutdown with indication. Auto-tune PID temperature control with dual LED display.